The Pension Loans Scheme | Alternative To Reverse Mortgage? Pension loans scheme – is it an alternative to a Reverse Mortgage? 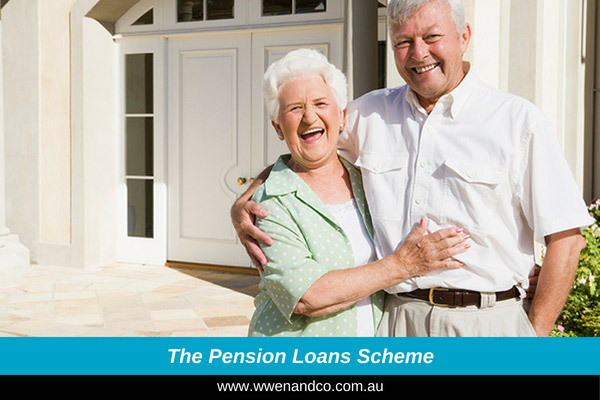 To help pensioners who are asset rich but income poor, the government launched its own version of a financial product that has been commercially available for some time, the reverse mortgage https://www.moneysmart.gov.au/superannuation-and-retirement/income-sources-in-retirement/home-equity-release/reverse-mortgages. The government’s answer is its pension loans scheme (PLS), whereby a pensioner can apply for a non-taxable loan using some form of real property as security. The PLS does not provide a lump sum, but a regular fortnightly payment. The scheme is administered by the Department of Human Services (DHS). Presently, the scheme is only open to those on a full pension, but the 2018 Federal Budget announced the government intends to open the PLS to all pension-age retirees (not just those who qualify for the Age Pension). A date has not been set for this yet. Costs associated with the scheme will be determined by the DHS and sent to the person seeking the loan. The current rate of interest is 5.25%, which DHS adds to the outstanding loan balance each fortnight until the loan is repaid. Loan recipients may also use real estate owned by a private company or trust as security for the loan if they are a controller of that company or trust. If there is more than one property, they can choose which to use as security for the loan. DHS will register a charge with the Land Titles Office on the title deed of the property used as security, with recipients paying any costs associated with this charge. A licensed valuer will value the property, however, this is done at no cost to the loan recipient.